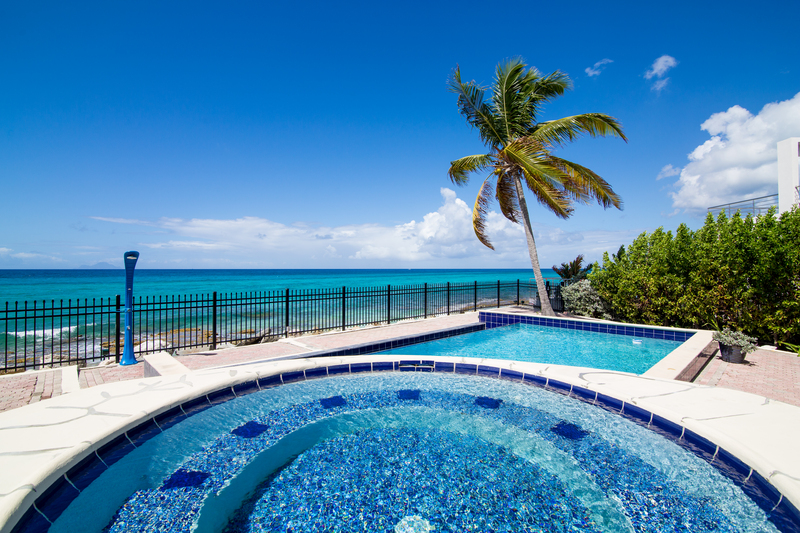 Sea and Sun are yours at this light and airy townhouse at Point Blue in Pelican Key Estate. 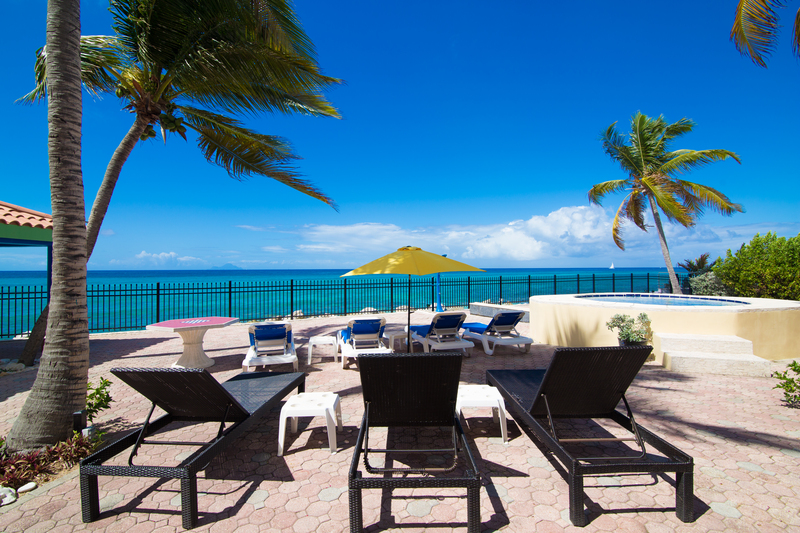 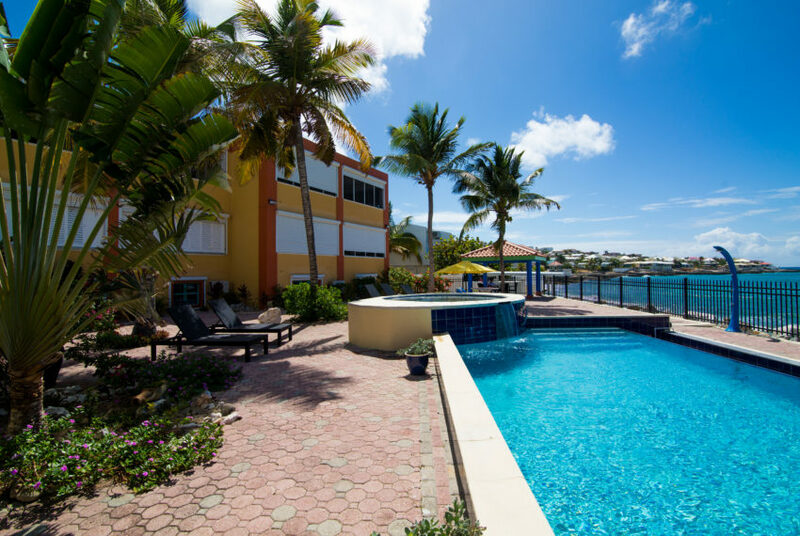 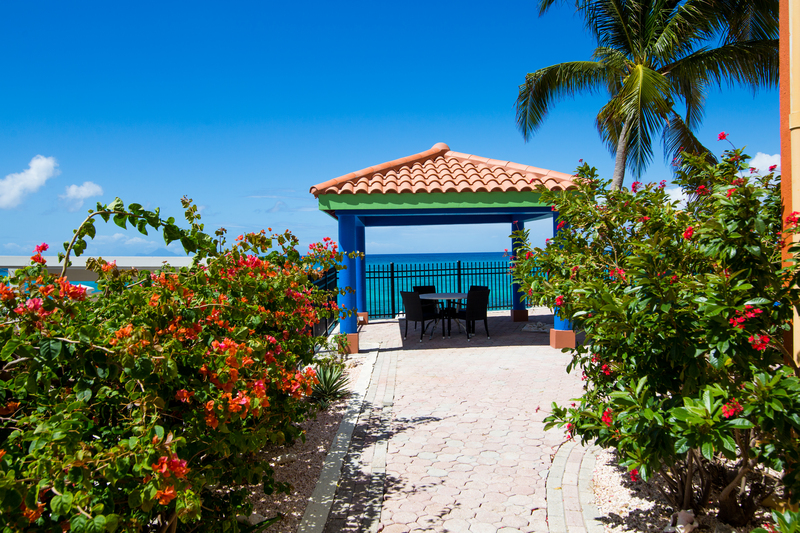 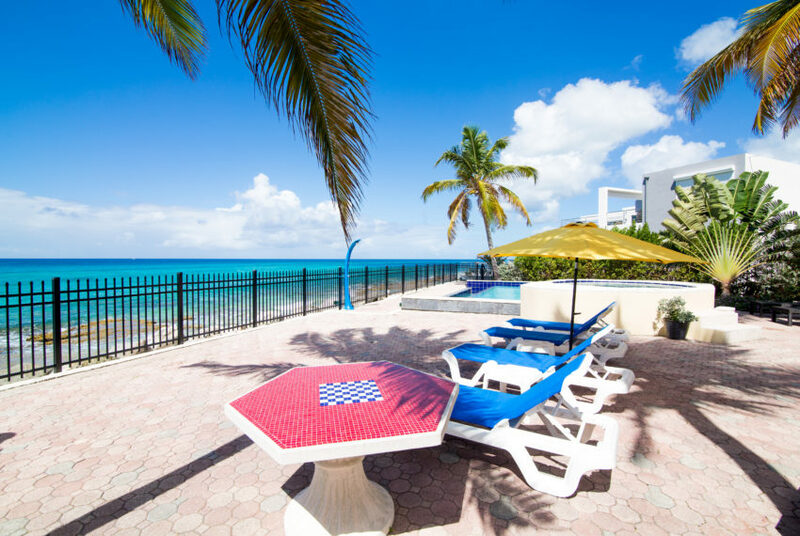 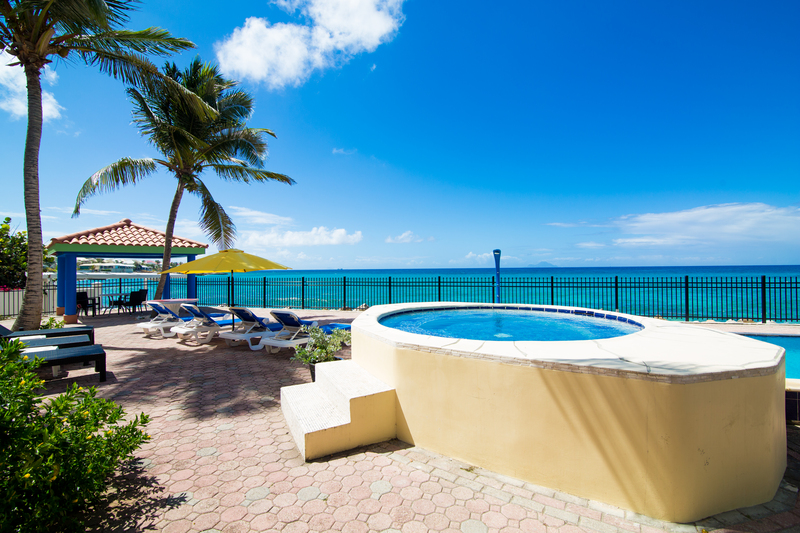 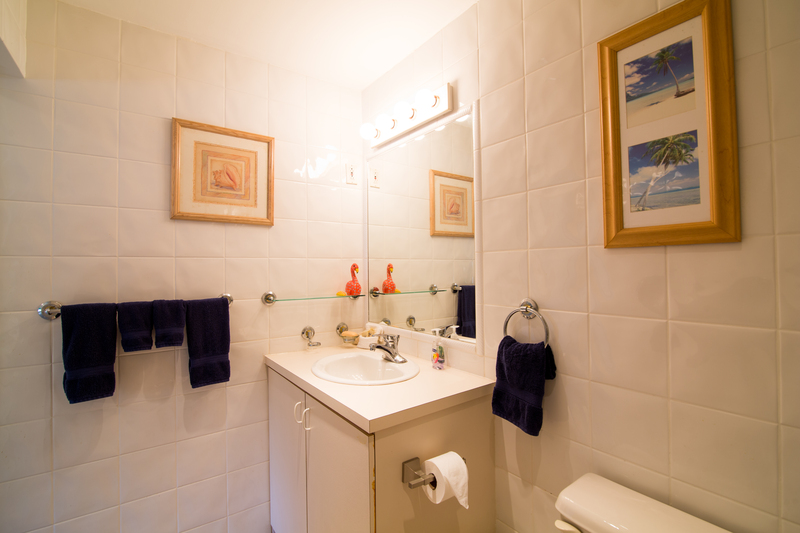 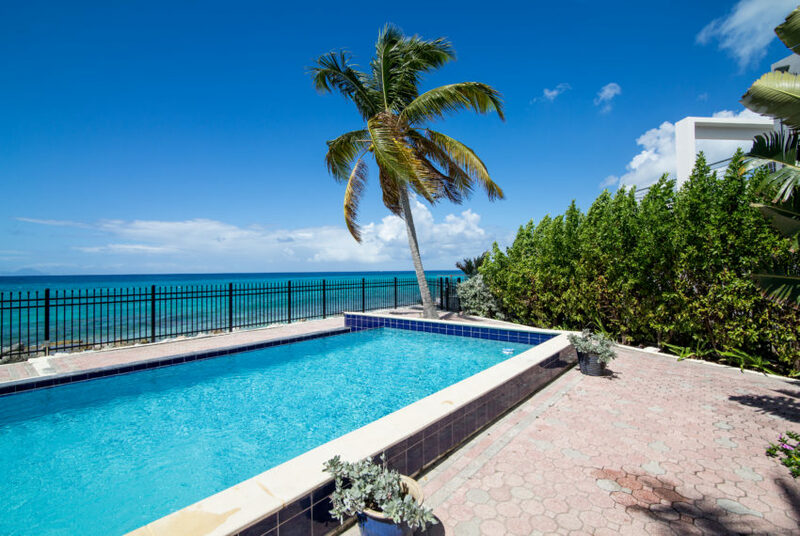 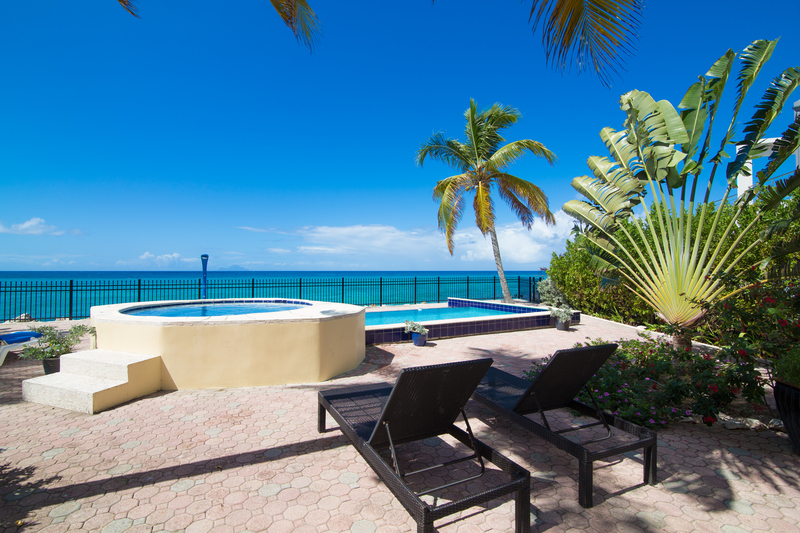 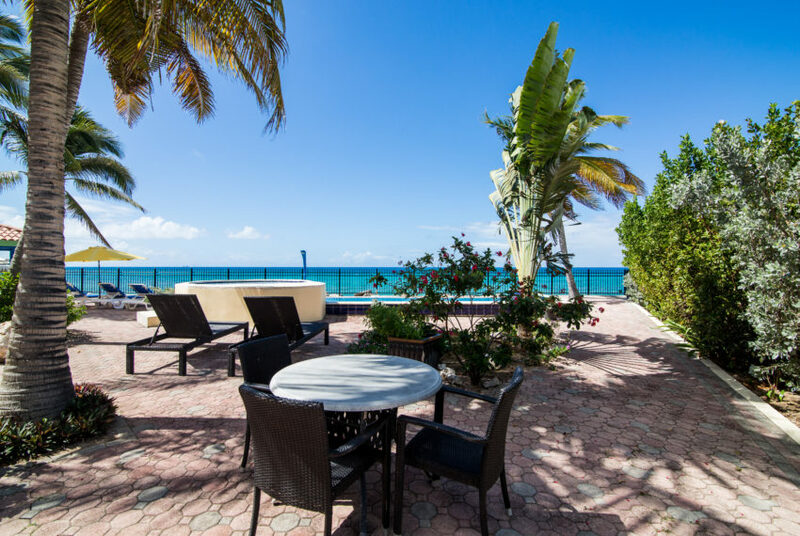 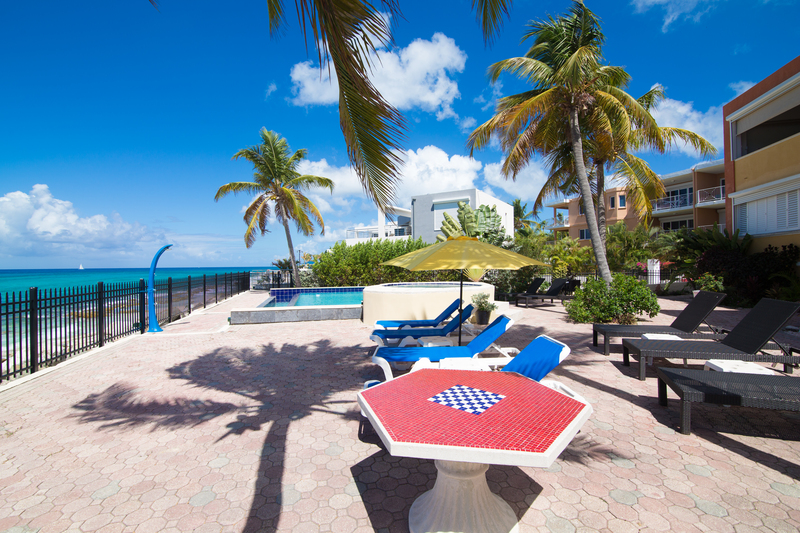 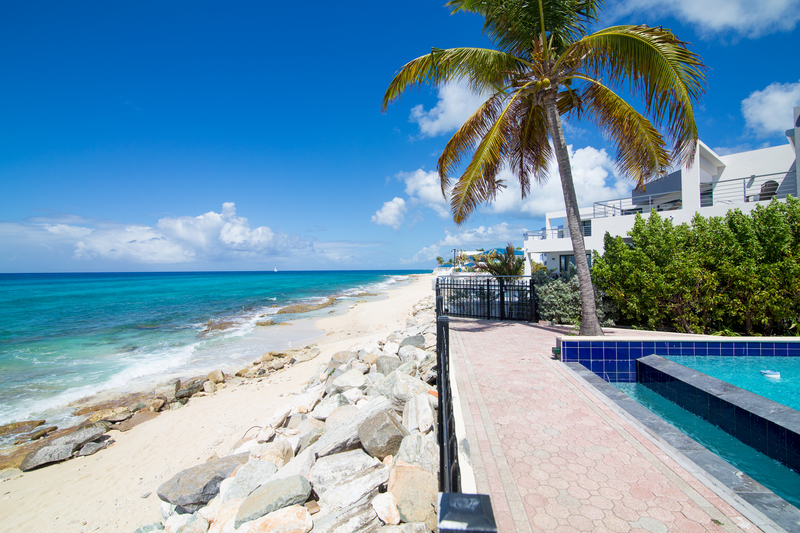 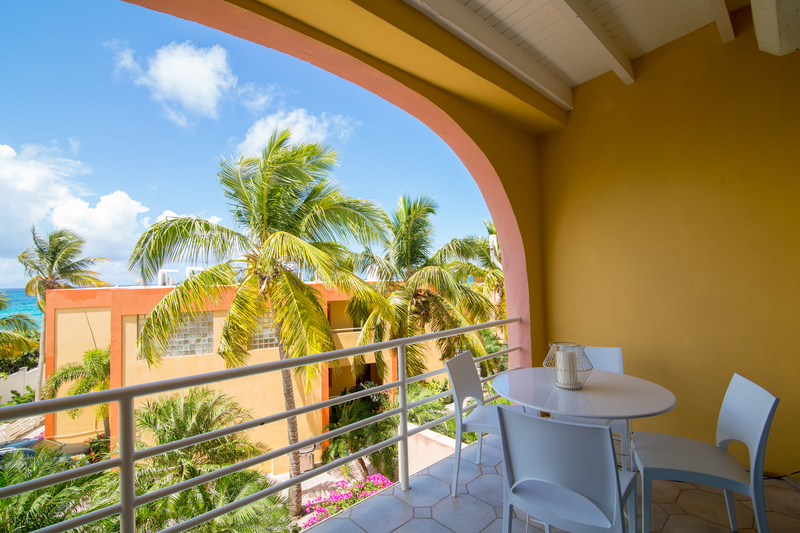 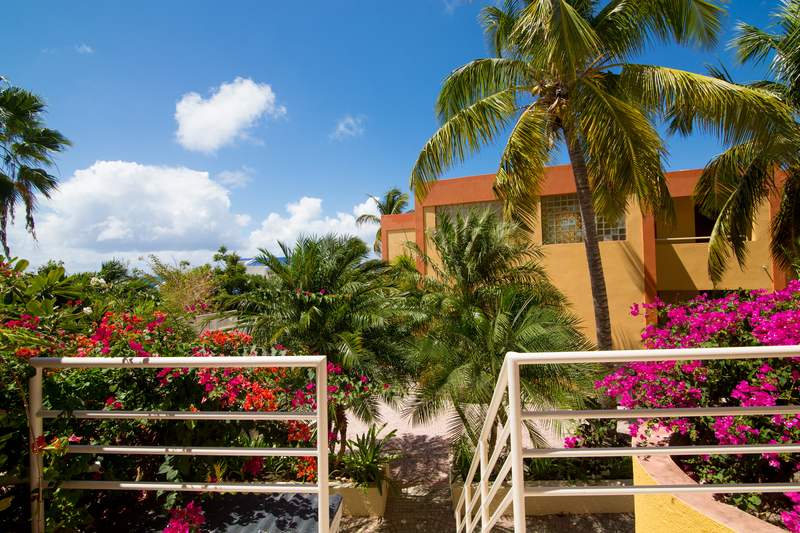 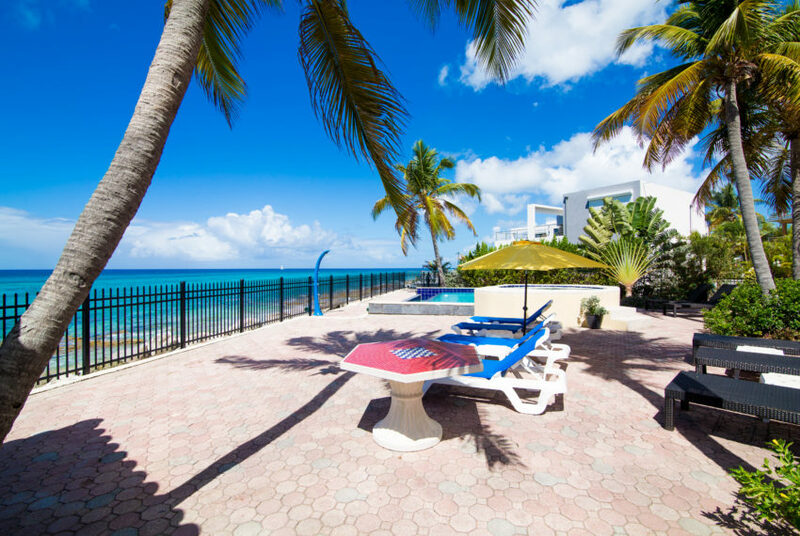 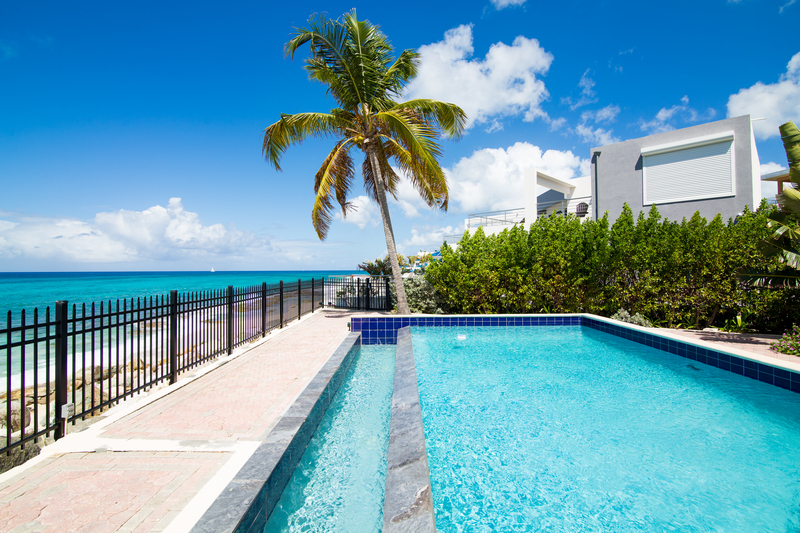 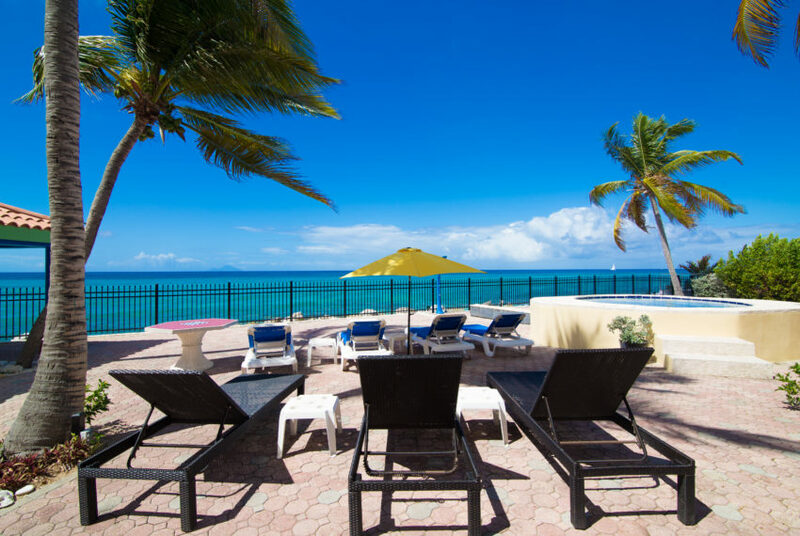 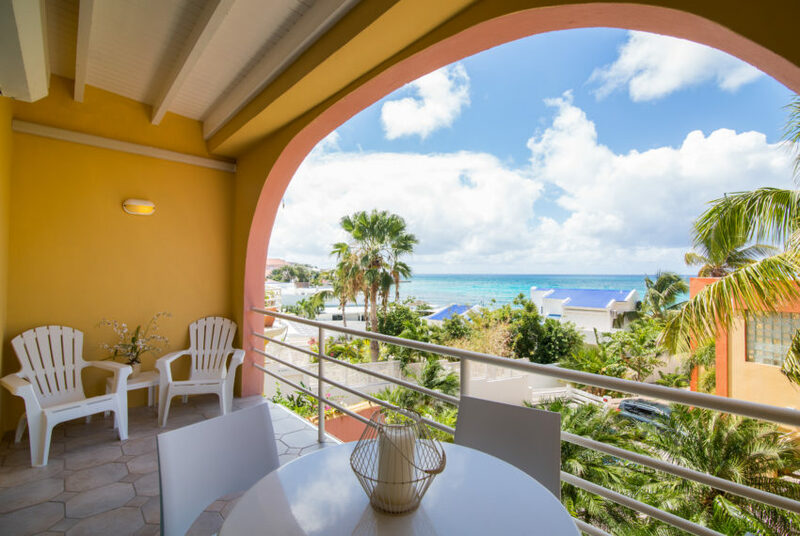 With 2 bedrooms and 3 full bathrooms, this immaculate two storey townhouse provides a quiet and peaceful tropical oasis for your stay in St. Maarten. 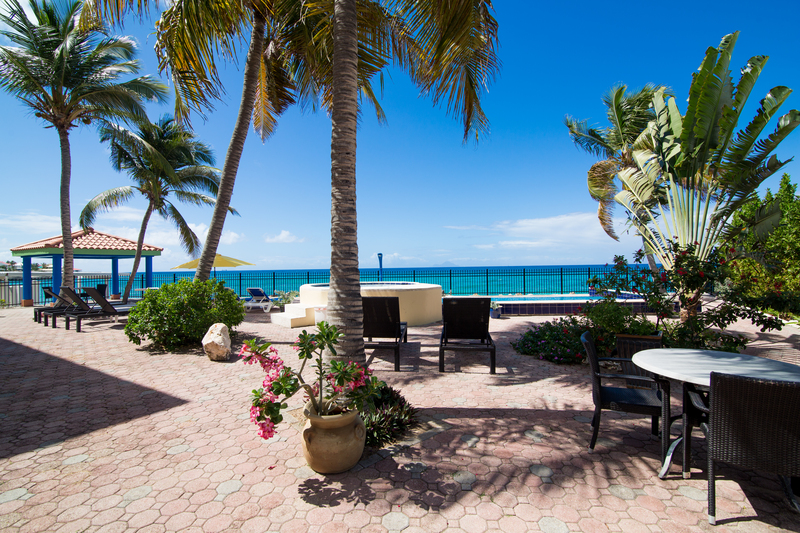 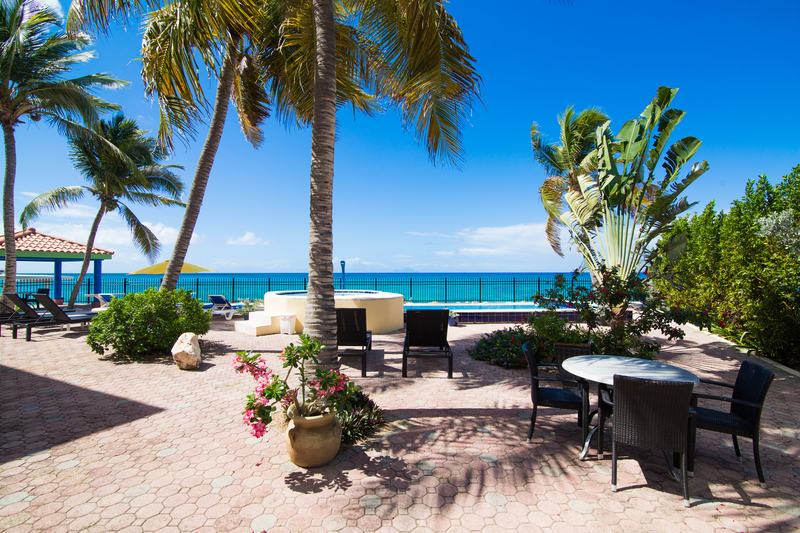 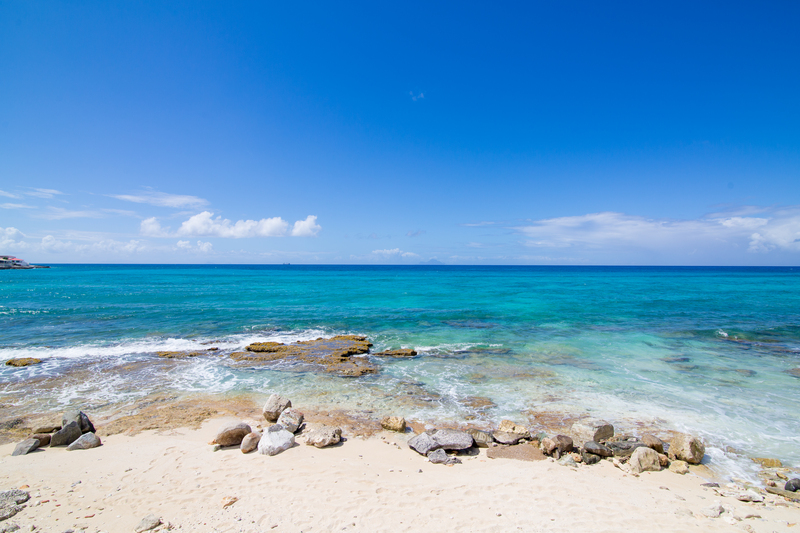 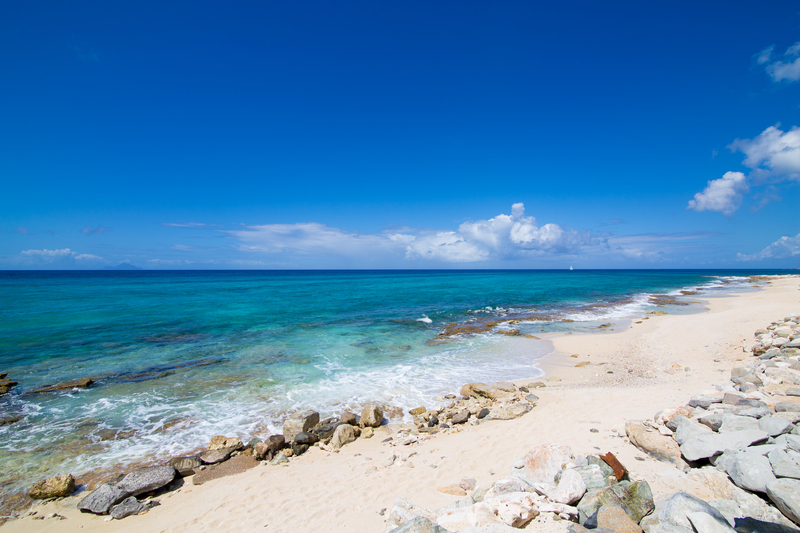 Leave the hustle and bustle behind as you step into Marisol and savor the enchanting ocean breeze and views. 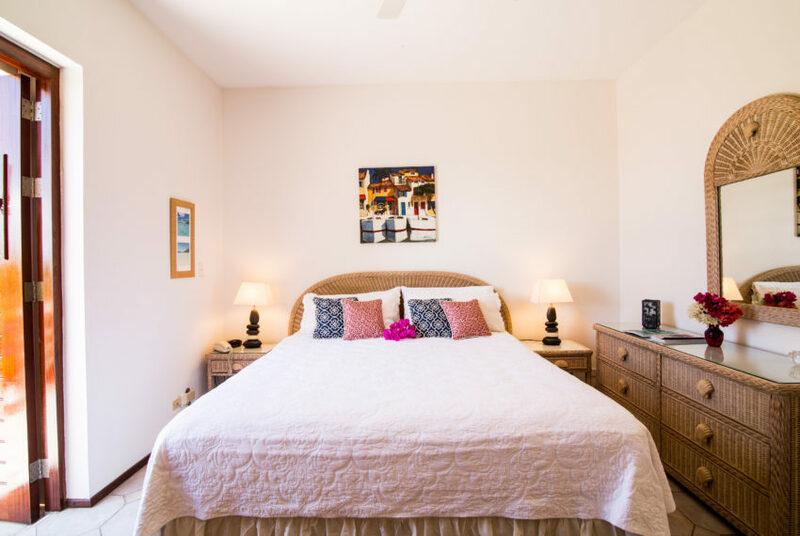 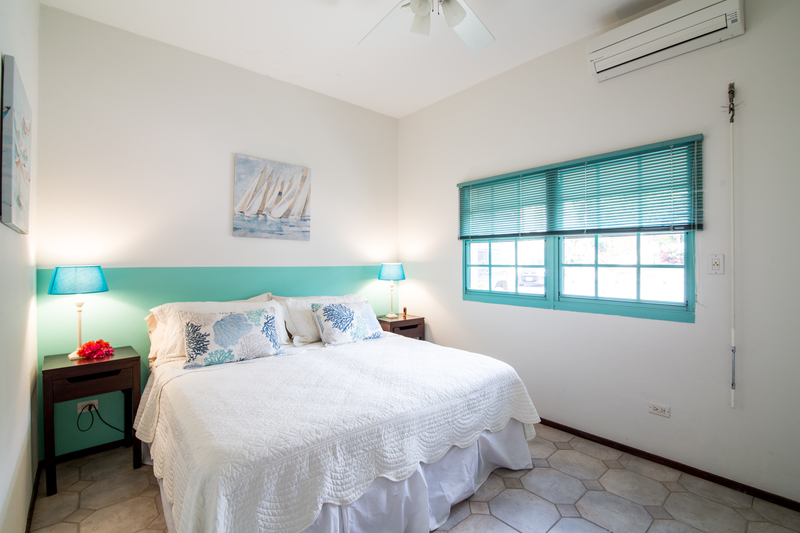 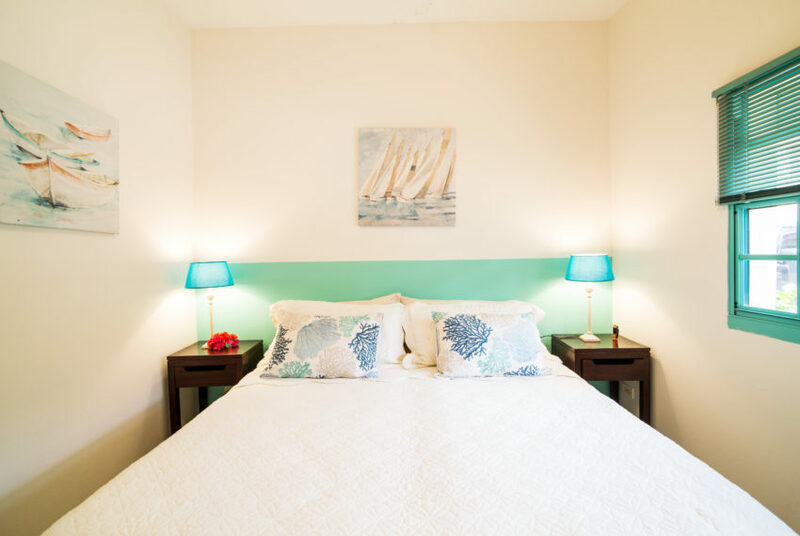 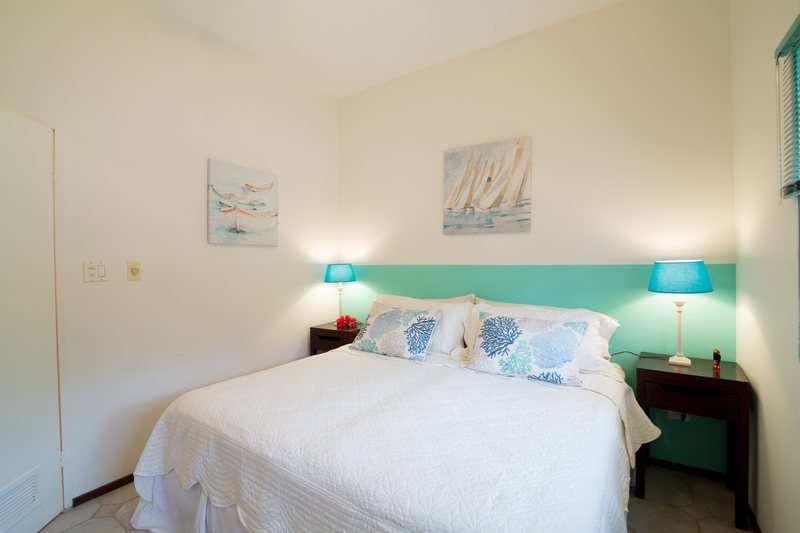 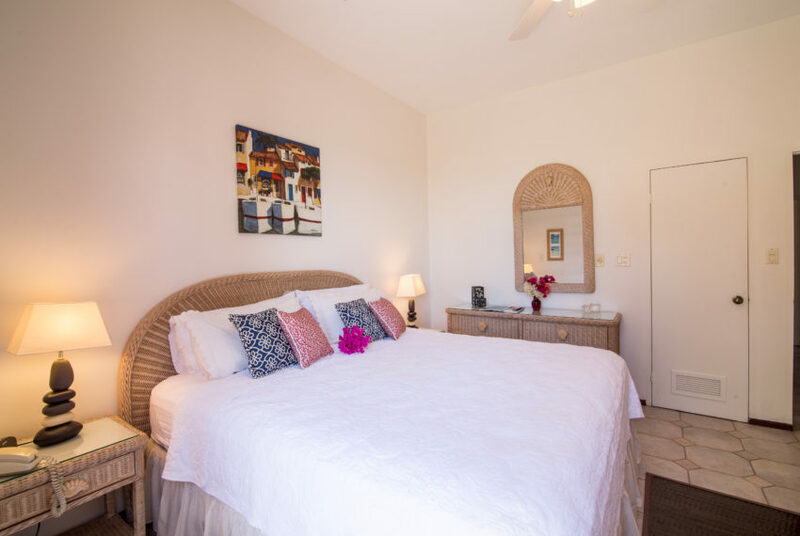 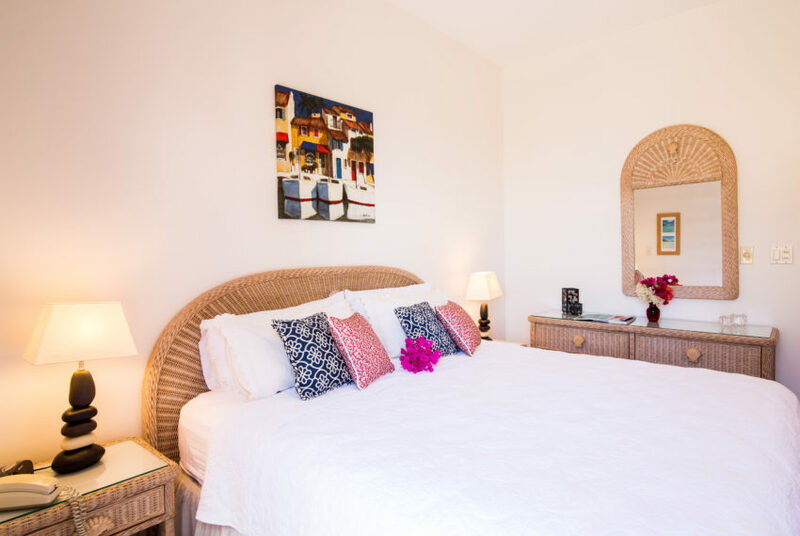 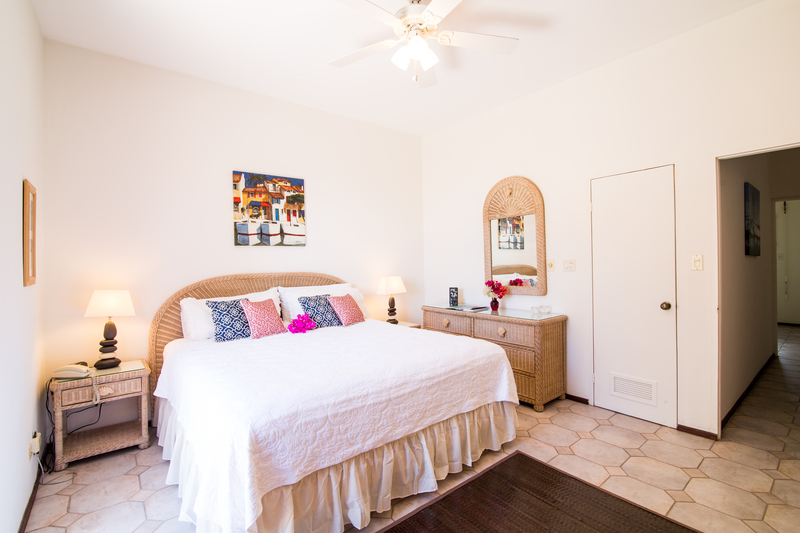 The comfortable and romantic bedrooms at Marisol are both on the first floor, each with king size bed, air conditioning, ceiling fan, en suite bathroom with tiled walk-in shower. Plantation style doors open onto a terrace surrounded by lush Caribbean landscaping. 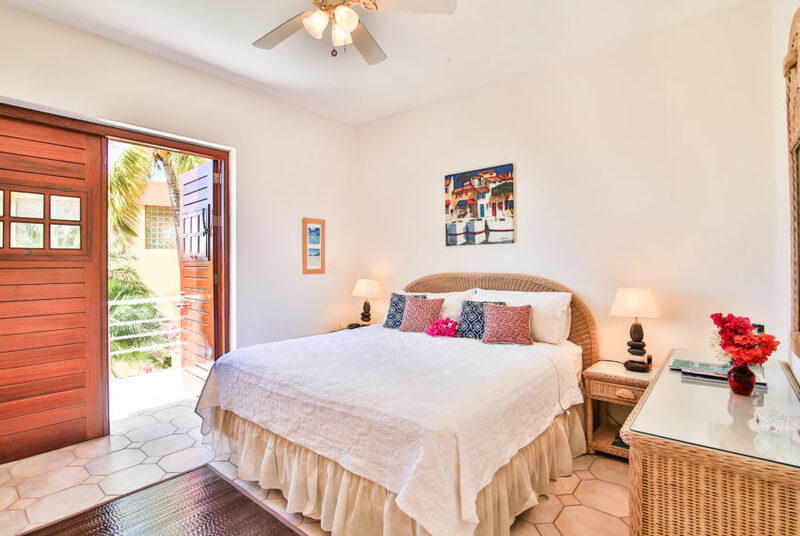 Master Bedroom has TV. 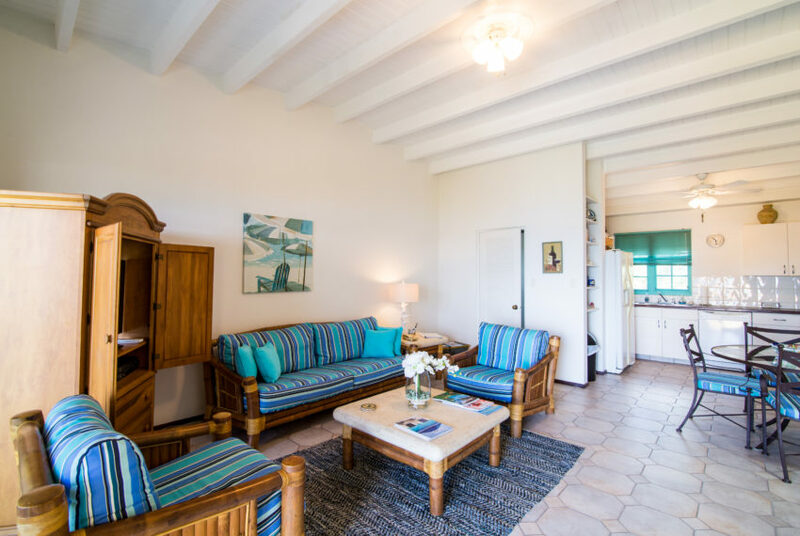 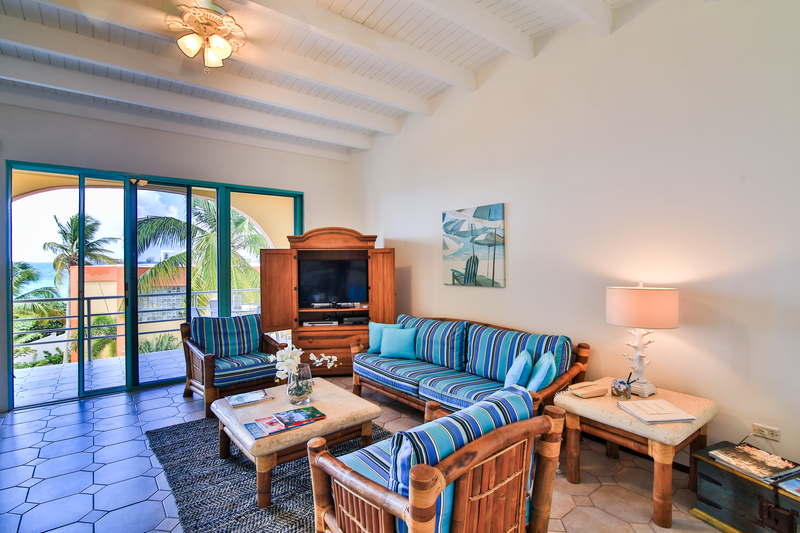 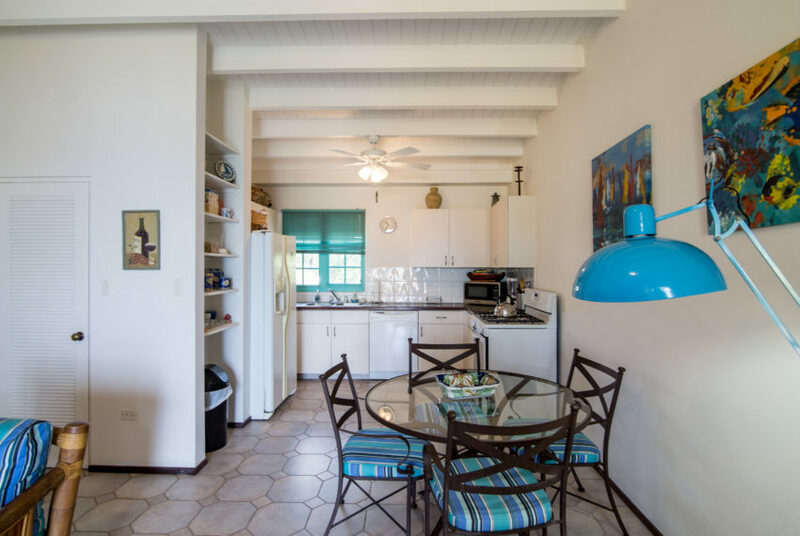 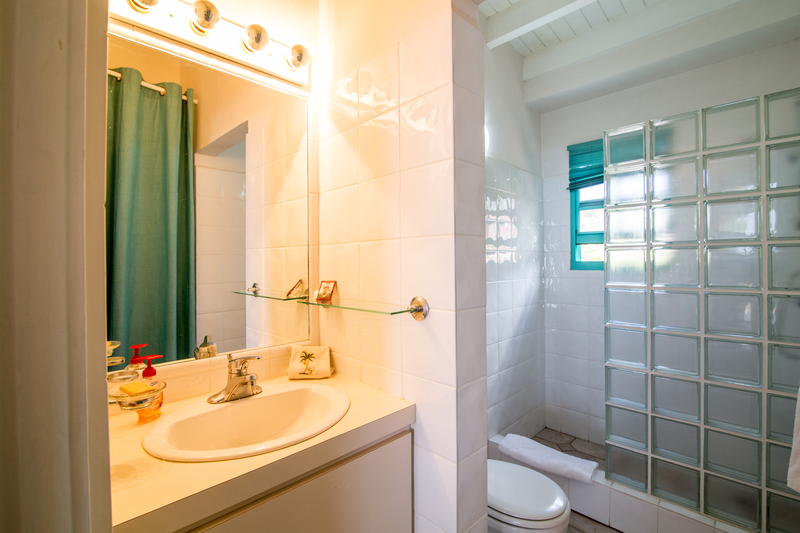 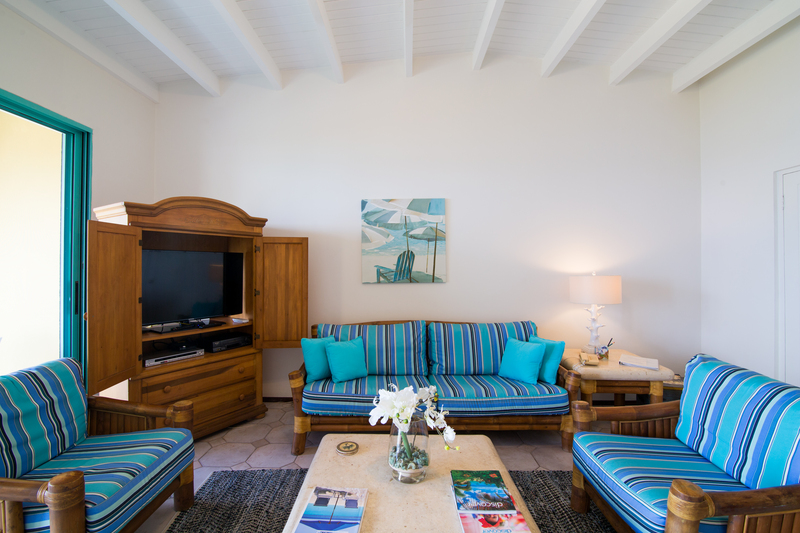 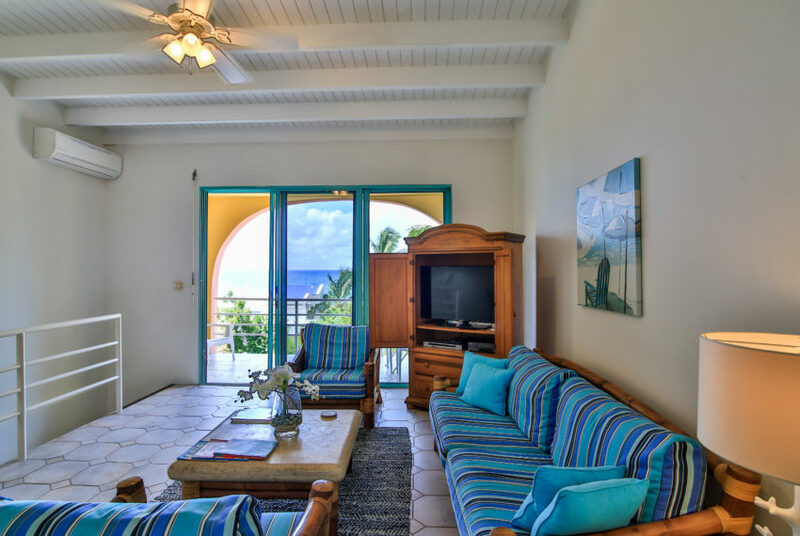 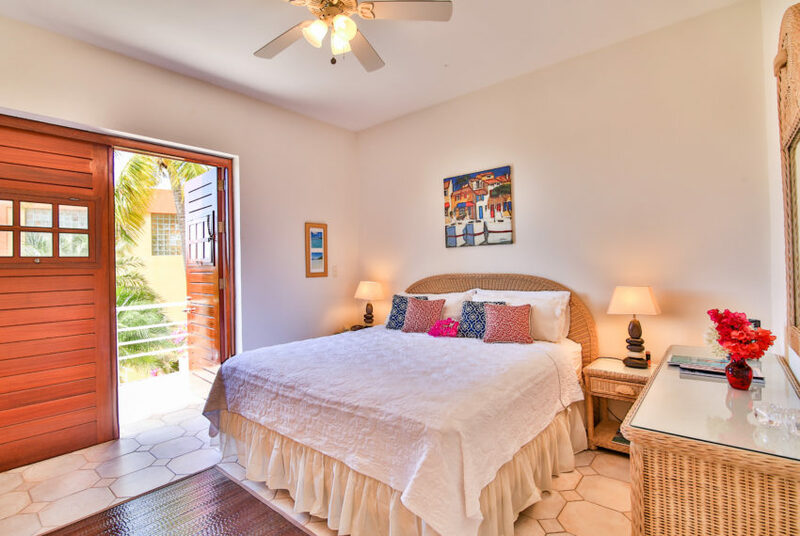 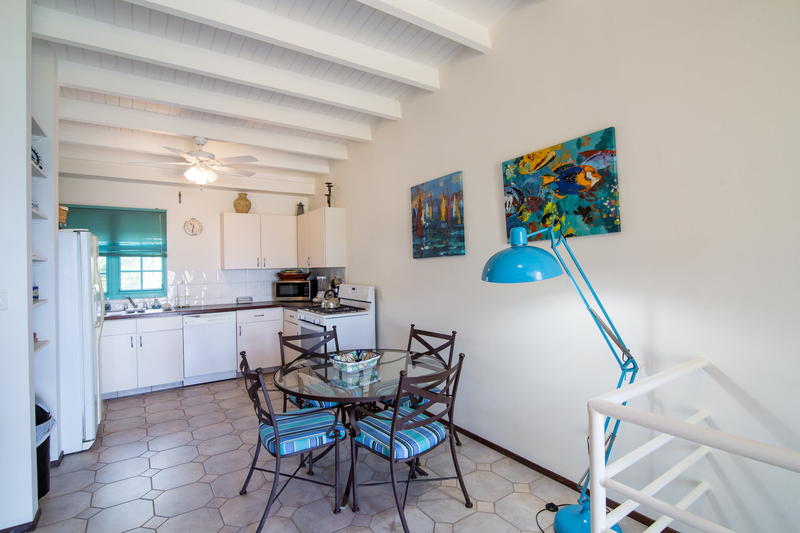 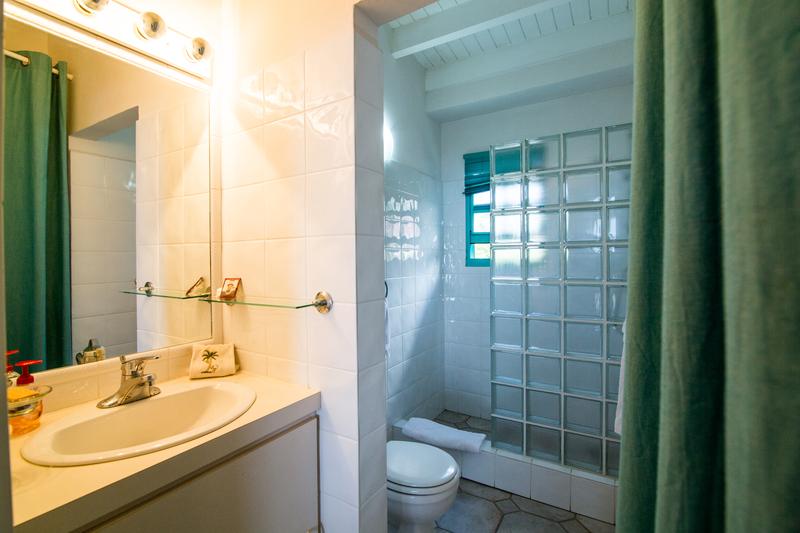 Upstairs, the living area has a Cathedral ceiling and ceramic tile floors and is comfortably and delightfully furnished in relaxing Caribbean island style. 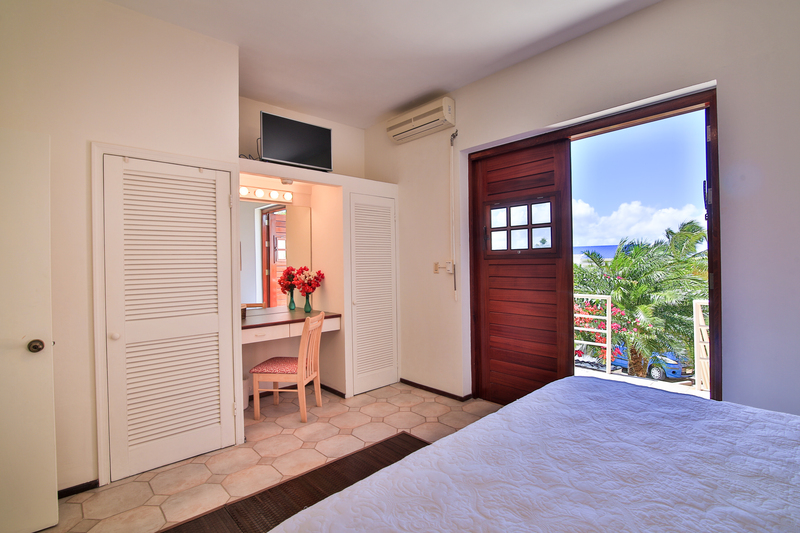 The living room opens onto a balcony with comfortable chairs where you can relax and enjoy a view of the sparkling blue Caribbean Sea and the islands of Saba, Statia and St. Kitts. 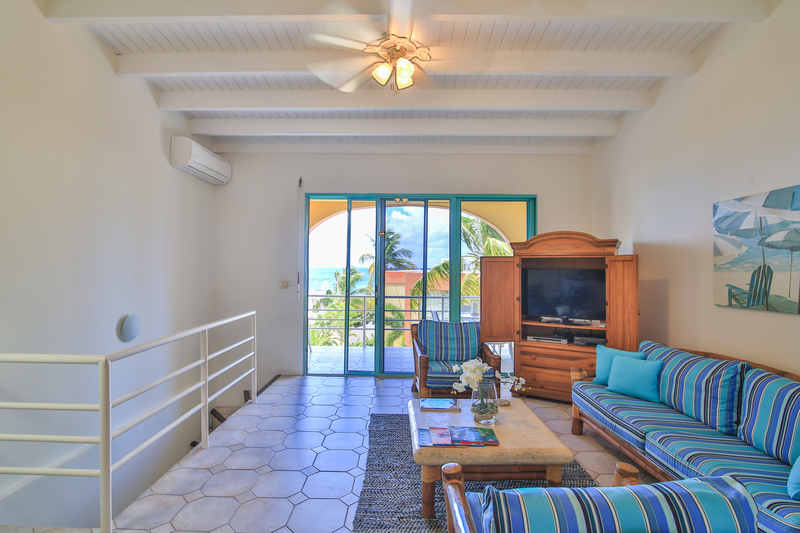 The living and dining room have overhead fans and air conditioning but you can count on the fresh trade winds to flow through the open balcony screen doors. In the living room is a large TV The third bathroom is located on this level. The kitchen is fully equipped, including a dishwasher, microwave, coffeemaker, blender and everything else you will need if you wish to prepare meals. 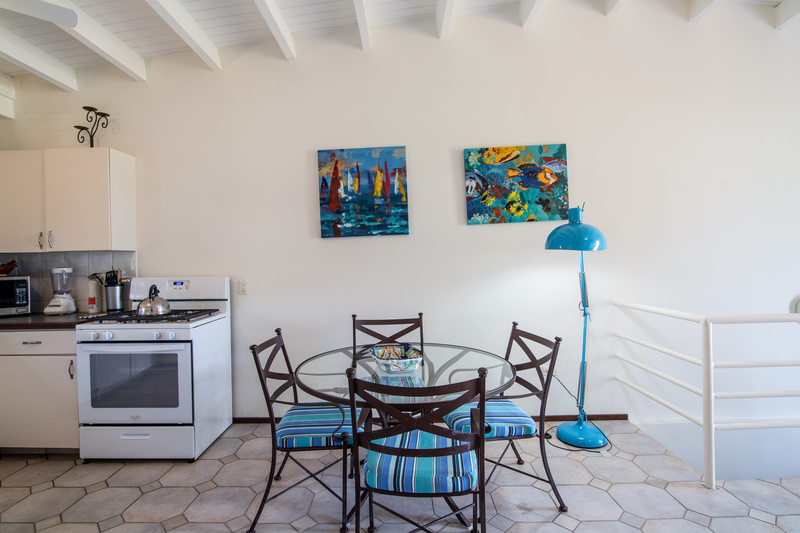 The dining area seats four comfortably. 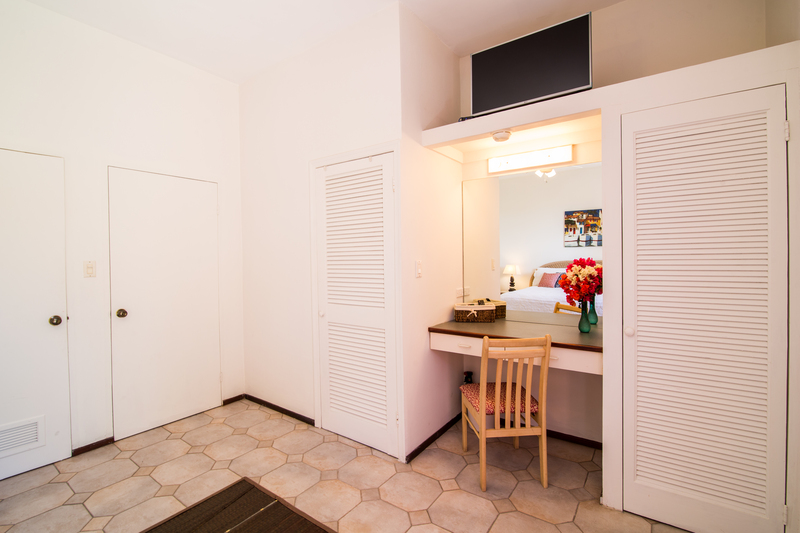 In addition, a washer and dryer are located in a separate utility room for your convenience. 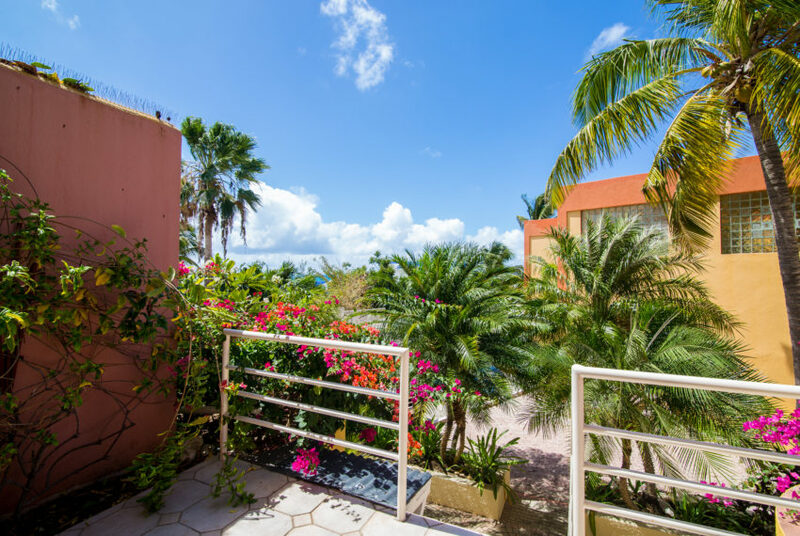 A private walkway takes you through the palms to the sandy beach and a beautiful common terrace with swimming pool, Jacuzzi, comfortable lounges and BBQ grill, at ocean’s edge. After a day swimming, snorkeling or lazing on the beach the terrace is the perfect location to watch the sunset and enjoy a cocktail. 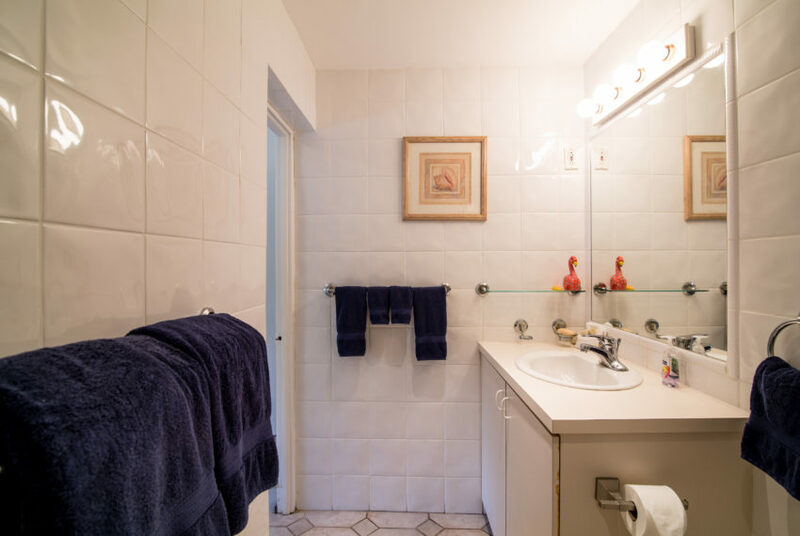 There are only seven units so the place is never crowded. Pelican Key Estate is central, lively and safe; gourmet and traditional restaurants, delis, sunset bars, night clubs and casinos are all at walking distance from Marisol.